How do you respond when you have an unexpected weight gain? I’m still riding this weight loss roller coaster with its ups and downs and twists and curves! I felt so motivated after my 5lb loss that the following week I stuck really closely to my eating plan and got on the scales fully expecting a 3lb loss. I was DEVASTATED to see the scales register a 2lb gain. WHAT? Having a gain when you know you’ve been reckless is one thing, but gaining when you think you deserve a good loss is totally another. I wasn’t prepared for this disappointment, and I reacted by throwing a sulk. Somehow I still managed to lose 1.5lb the following week, and I’ve maintained that loss for the two weeks since. A half pound gain for the month isn’t a disaster, but the story could have been so different. If I hadn’t reacted so badly I could have been 7lbs lighter this month, and well on my way to my weight loss goals for this year. So, how do we deal with disappointing results? One significant difference between a successful slimmer and one who isn’t, is how they react to disappointment at the scales. I’m going to use a couple of strategies next time I don’t lose as much I expect. Firstly, I’m going to look at the bigger picture. We slimmers attach too much importance to how much we weigh on a particular day. 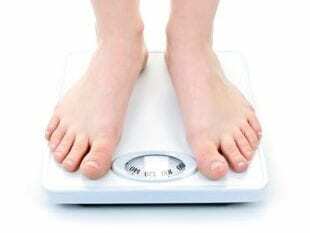 Every one’s weight can fluctuate. Weighing heavy one day doesn’t necessarily mean we’re weighing fat. Second, I’m going to measure success by more than just weight. If I’m feeling healthier or fitter, or simply just enjoying what I’m eating or the feeling of being in control, that is something to celebrate. Finally, I’m going to remind myself of my goals. Having a sulk and a binge and wandering off plan will not take me closer to them. I need to keep going regardless! PreviousWhy Do We Change the Clocks? Dare to Believe – Dare to Dream!